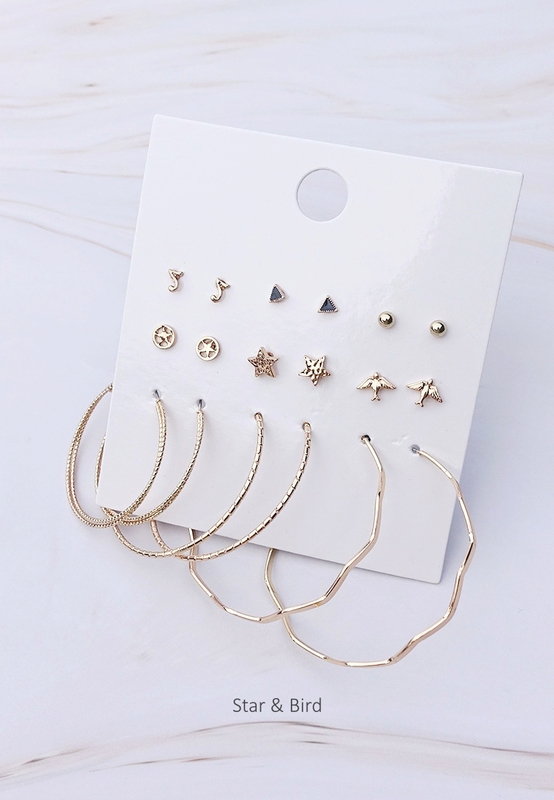 Mix up your metals with our earrings set, featuring simply-chic designs in gold-tone metals. 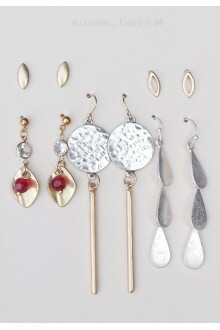 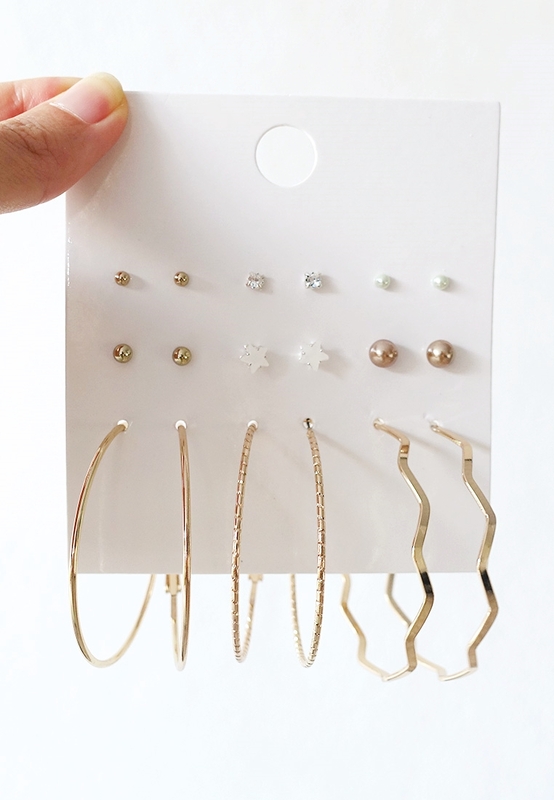 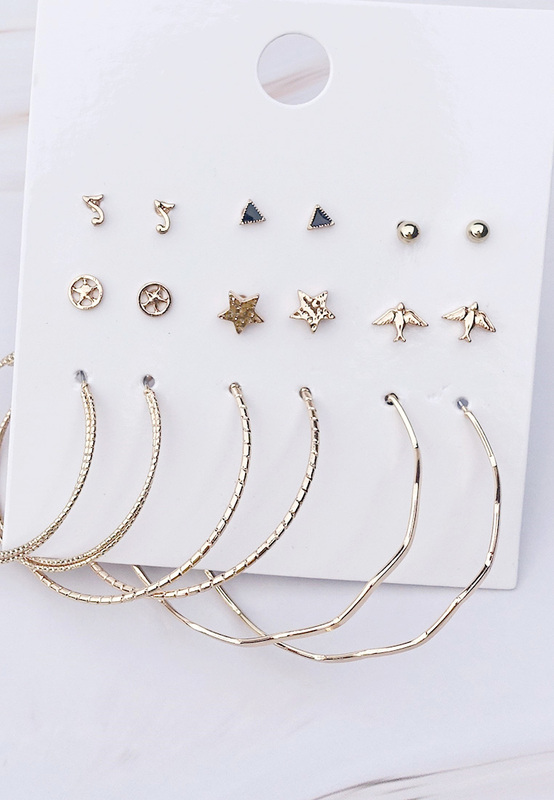 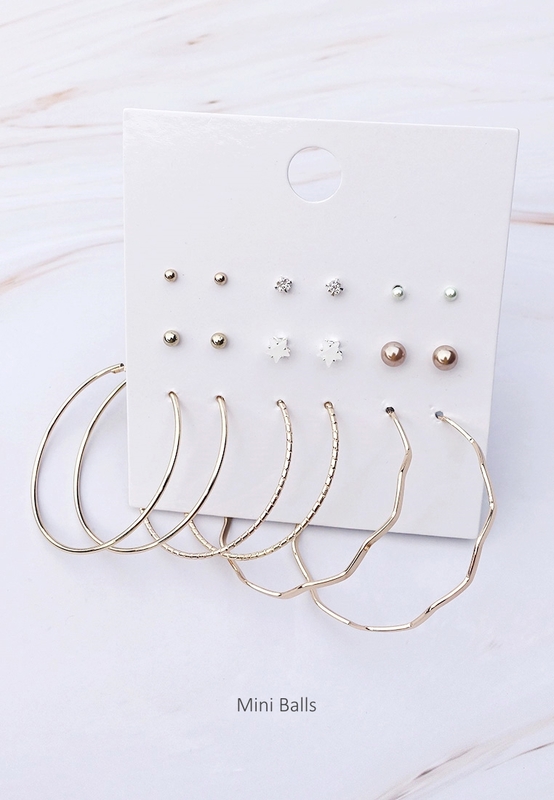 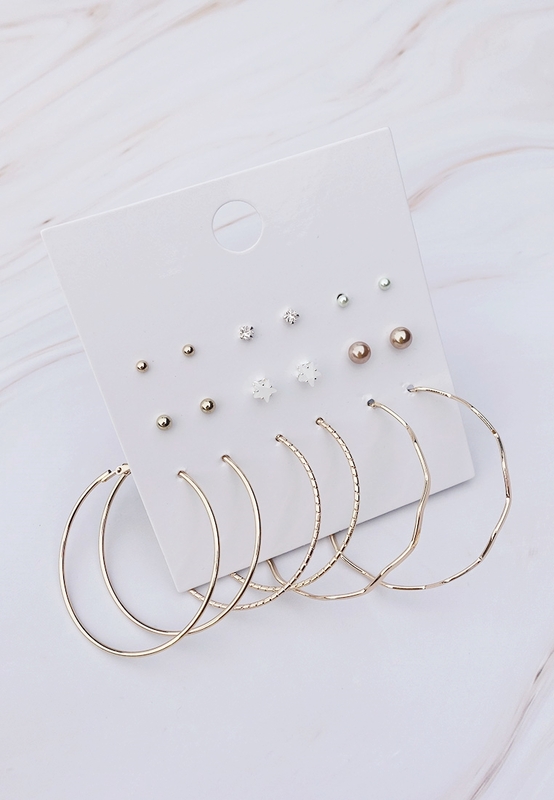 This pack of nine pairs features assorted design studs, round balls studs and hoops. 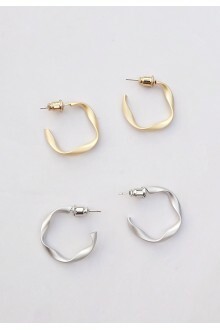 Tags: mixed, plate, stud, and, hoop, earrings, set, new modern, minimalism sale! 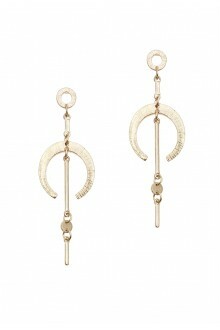 DetailsOur Lena earrings set is just the thing to overhaul your jewellery box. 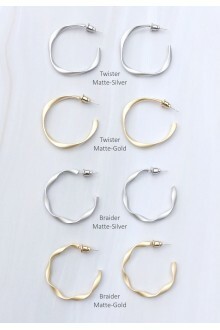 In antique gold and s..
DetailsCombining a geometrical palette with a statement silhouette, we just know you'll fall in love..
DetailsStrolling through the streets with the perfect feminine touch with these mini twisted hoop ea..
DetailsStrolling through the streets with the perfect feminine touch with these twisted hoop earring..